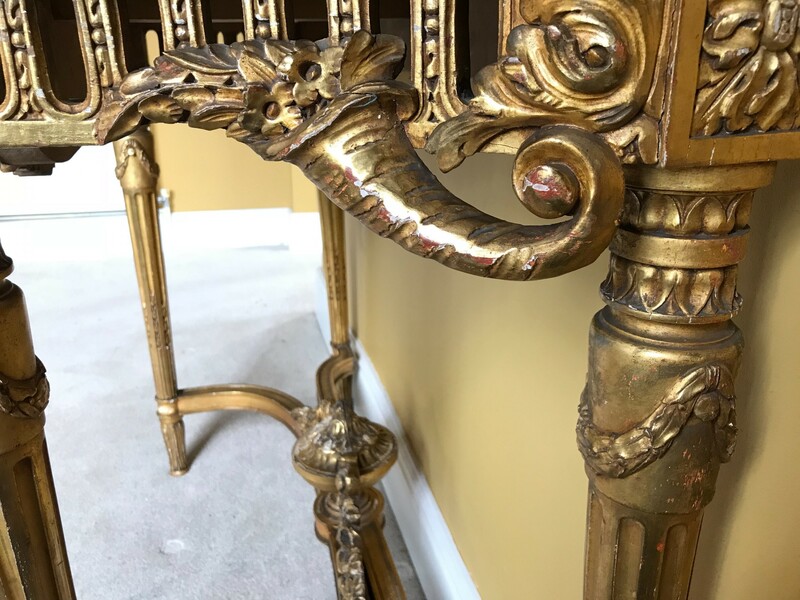 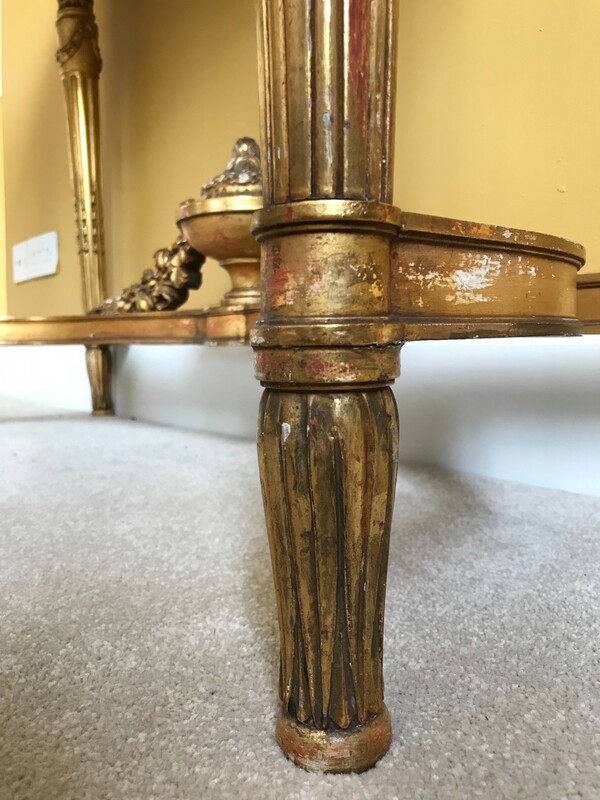 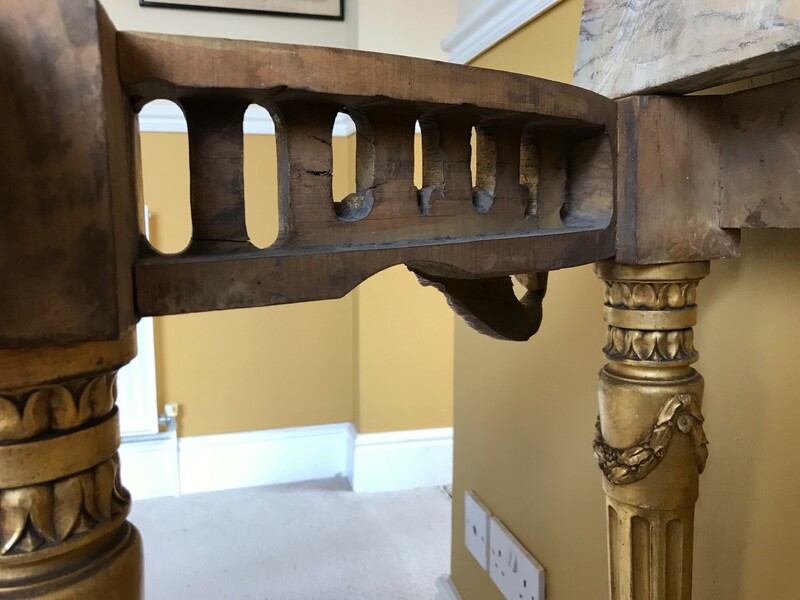 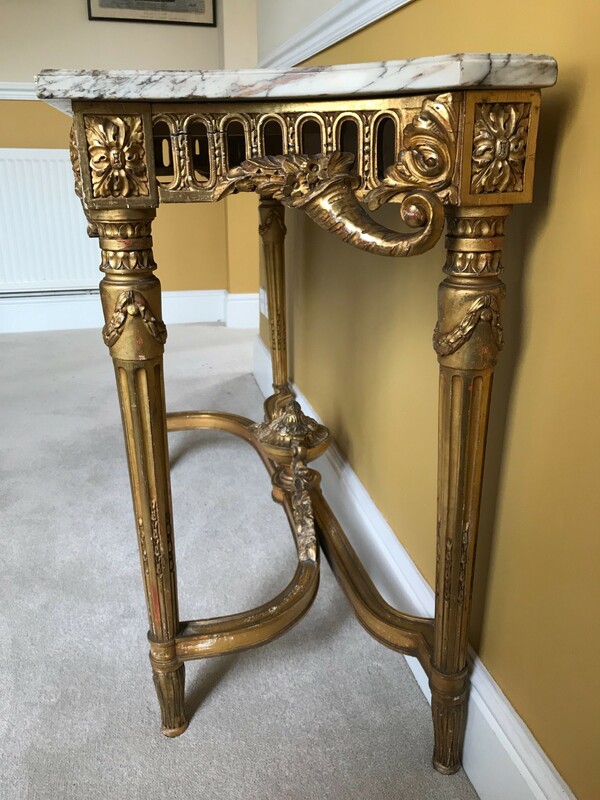 An exceptional English carved giltwood Pier table in the manner of the designs of Robert Adam 1785. Executed wholly in carved hardwood and gilded, with no gesso enhancement. 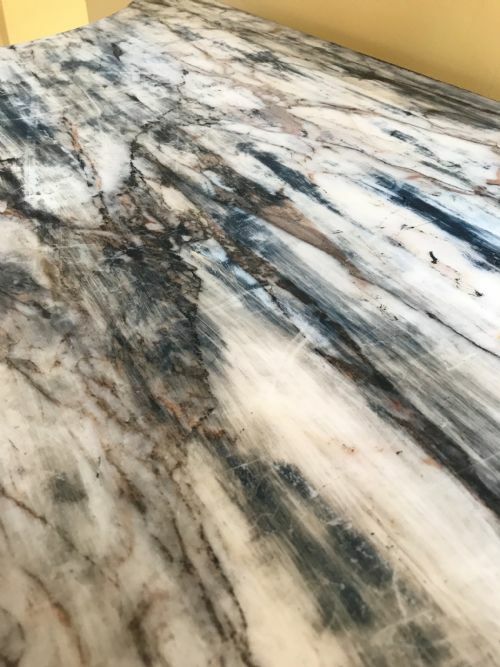 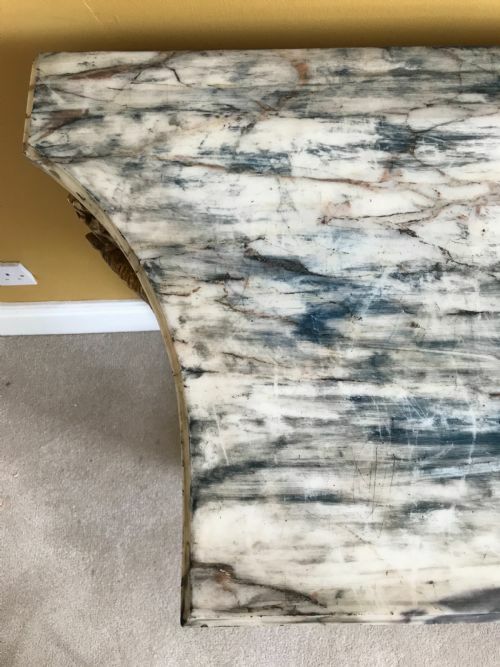 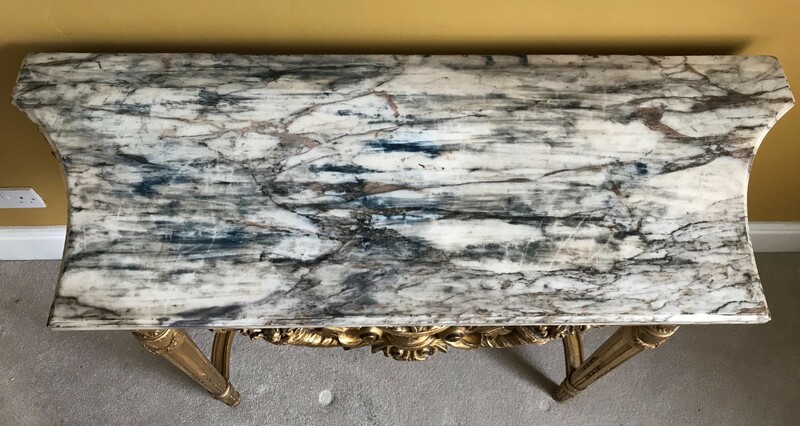 The rare blue striated white marble top with thumbnail Moulded edge. The overhang periphery edge underside milled smooth as the top surface, and bearing a now in distinct signature or scripture ( A Led....?? ). 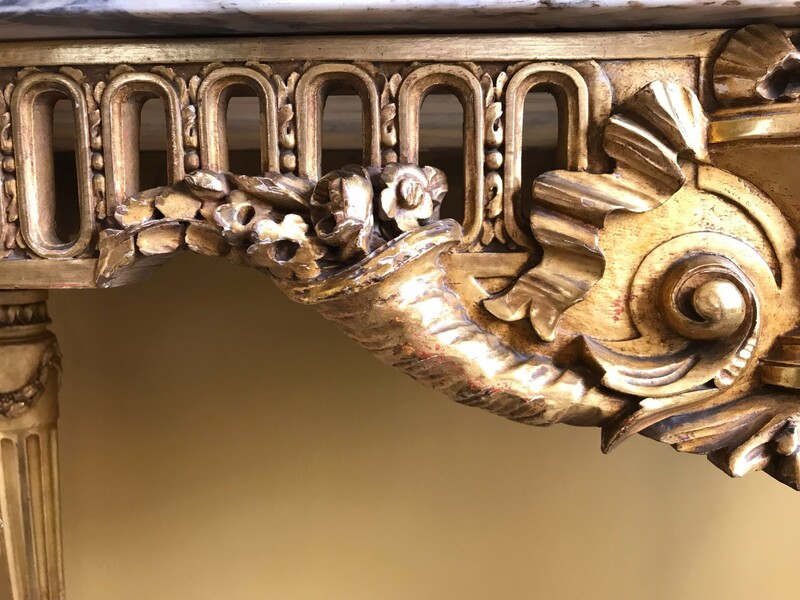 The table frieze with fretted lunettes carved from channelled sections and adorned with overflowing cornucopia and a central vase of flowers and ribbons. 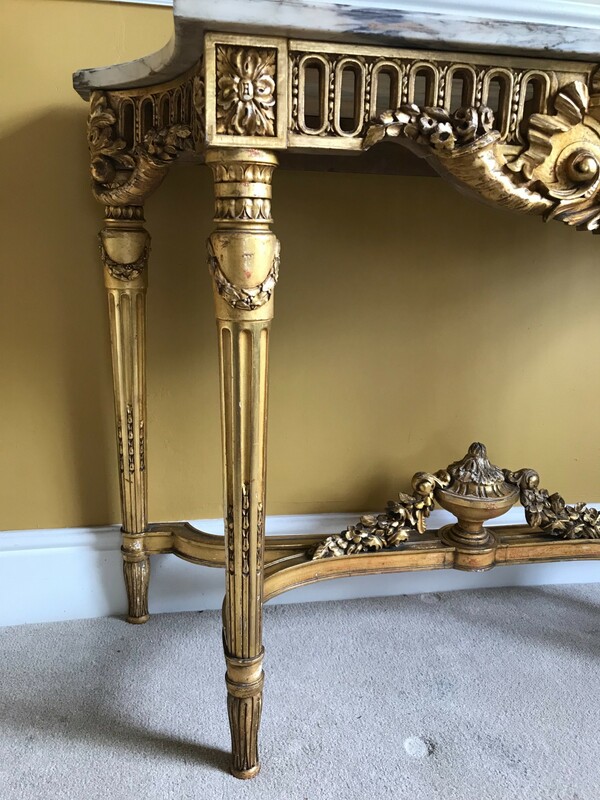 The classically outset rear legs and front legs joined by sweeping channeled stretches mounted with three dimensional urn and floral garlands. The Adam inspired legs intricately carved with flutes, swags and capitols of richly carved bosses or paterae. 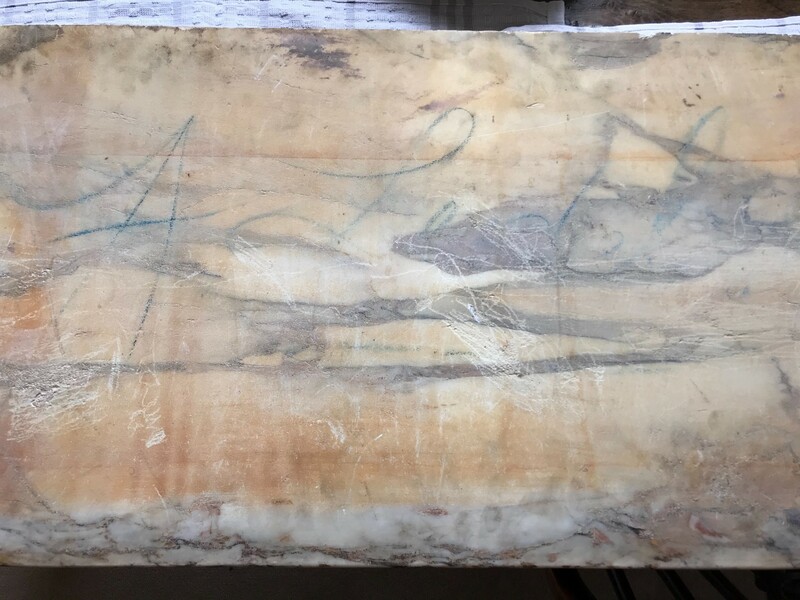 With very pleasing small amount of surface ware convensurate with age. Classical English period look and rich colour. Wonderful size. 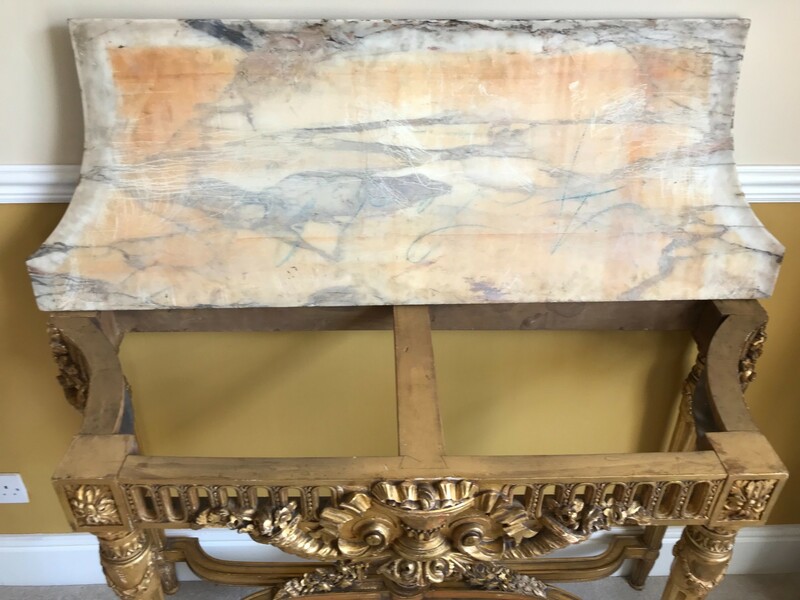 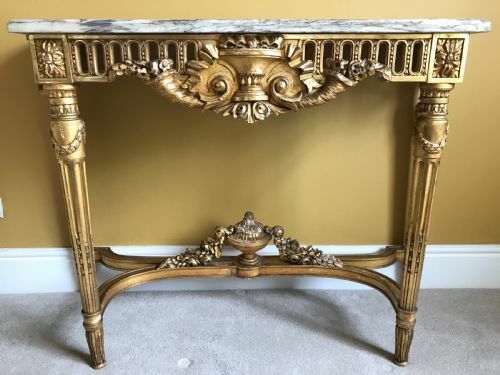 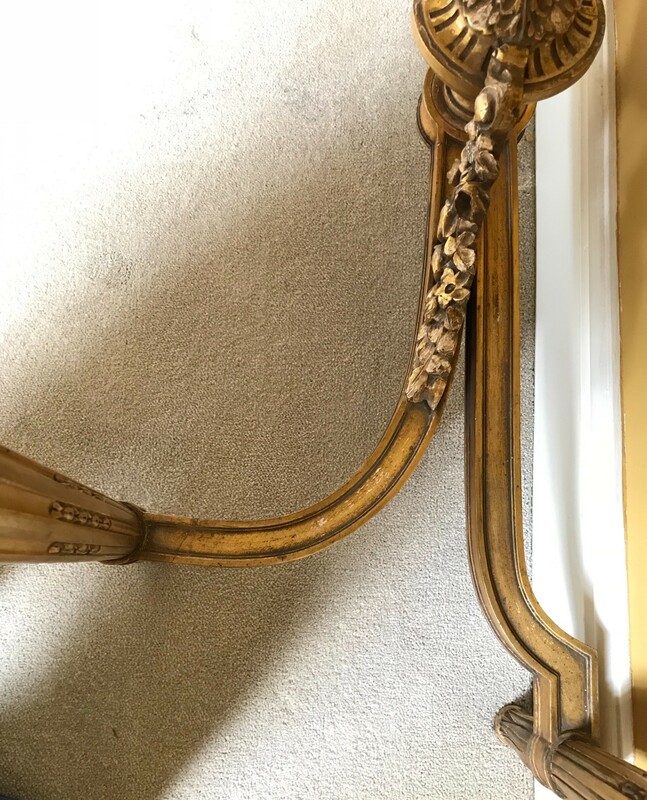 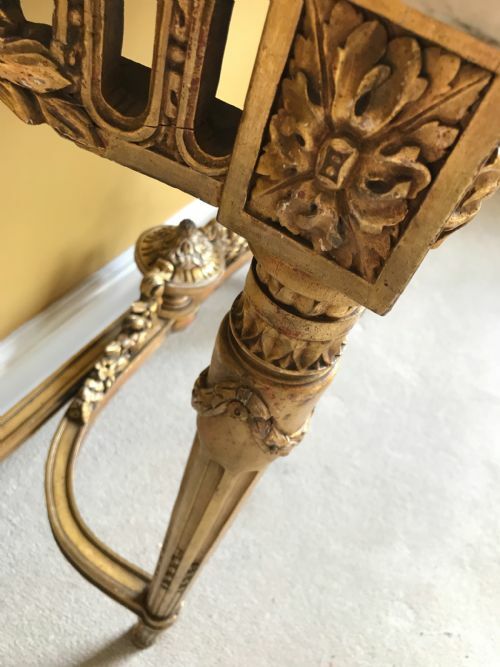 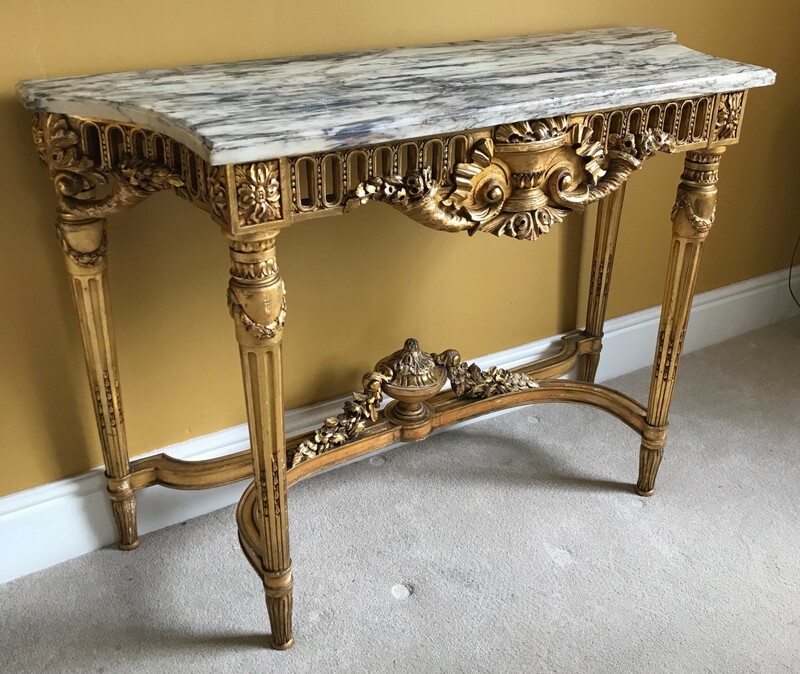 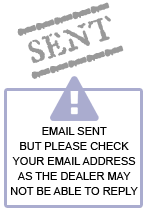 The An English Carved Giltwood Neo-classical Console table / Pier Table has been added to your saved items.